Elisabeth Meru is a very unique individual. She was born in Hamburg, Germany and now lives in Munich. She has written short stories, journalistic pieces and poetry for radio stations and several newspapers and journals. The Guru's miracle manifested in her life after 24 years spent searching for God when she visited the Gurdwara in Munich, Germany for the first time and first heard Gurbani Kirtan. In this moment she knew: "I'm coming home." Years of listening and seva followed. She converted to Sikhism (after 7 years) and in collaboration with other Sikhs, wrote her first book about this religion. Elisabeth Meru taught herself Gurmukhi. She also has a knowledge of writing, reading and talking Hindi. The book "From the Heart of Sikhism - Guru Nanak Dev Ji - In your quiet rose garden" was written by Elisabeth Meru for Guru Nanak Dev Ji's 540th birthday. This book contains legends about the ten Gurus, their wisdom and teachings as well her own poems, fables and a fairytale in German style. For her book "Sikhs und Sikhismus, Religion, Riten und der Goldene Tempel" ("Sikhs and Sikhism. 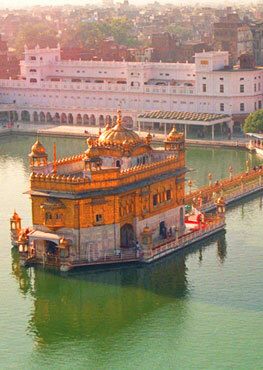 Religion, rites and the Golden Temple", 2006) she worked together with other Sikhs living in Germany. On November 13, 2009, the Shiromani Gurdwara Prabandhak Committee, in Amritsar, Punjab, India, bestowed the Siropa on Elisabeth Meru in recognition of her work and her service to Sikhism. During my long search (24 years) for GOD I found Sikhism by myself, just as I adopted the Salvar Kamiz, my favourite clothes even when I am in Germany, without anyone influencing me. When I became a vegetarian more than twenty years ago, Indian cuisine was the logical thing to turn to. Among my favourite dishes are Mattar Caval, Makkhan Parantha and Alu Parantha. As I absolutely love sweet foods, my favourites, apart from German chocolate, are Jalebi, Kheer, Kulfi and a sort of small yellowish globules, whose name I keep forgetting. Once I turned to Sikhism, I regularly went to the Gurdwara. There I met a Sikh and we married. I taught him German and built a new life for him. Without either of us being aware of it, his immense knowledge made him my teacher in all things related to Sikhism, and I introduced much of what I learned from him into my first book, "Sikhs and Sikhism, Religion, Rites and the Golden Temple." But before I could write this book, almost seven years passed also with Seva. While I was still working on the book together with other Sikhs, my husband left me. Fortune will run its course, but I kept part of my Sikh-family in the Punjab and still have a home there. After I had finished my book, I parted ways with the Sikhs. I was on my own after that, but my heart kept crying steadily for Guru Nanak Dev Ji – maybe this was the reason that I was allowed to write the book "From the Heart of Sikhism – Guru Nanak Dev Ji – In your quiet rose garden." While looking for suitable illustrations I asked some Sikhs from the Sangat for help, without much success. After a long time I finally found all the pictures I wanted in the fantastic libraries of our Munich University. My book contains over thirty pages with full-colour illustrations, among them Wood and ivory mosaics in the Golden Temple, and Front Elevation of the Carved Door in Amritsar, Gates from the Punjab (17th century), flowers and birds. The oldest picture dates from 1749. Also included were many smaller illustrations. There is no market in Germany for books on Sikhism, and there is hardly a publisher that will invest in Sikhism. Therefore my mother, a good friend and her mother bore the expenses for my small team of collaborators, for the graphic design, the printing (the German version was printed in offset) and everything else related to my book. When my book "From the Heart of Sikhism – Guru Nanak Dev Ji – In your quiet rose garden" was published I got a wonderful flyer from my graphic designer. After that, I wrote my book "Sikhism – Wellspring of Love." This book also was paid for by German friends and with the help of an unexpected amount of money, but when I turned to the Sikh Sangat with my wonderful flyer, I received a surprising amount of help. In the end, two Sikhs sponsored illustrations. Then something incredible happened: A Sikh living in Germany had read my last two books and contacted me to offer me financial support for writing a new book on Sikhism. This book should be addressed to the young Sikh generation living in Germany who are cut off from their roots as a growing number of them speak only little Panjabi, cannot read Gurmukhi and can hardly speak enough English to be able to read good books on Sikhism. Thus I could write the book "Guru Granth Sahib Ji Essence and Sikh Terminology from A to Z", which I had already been working on but lacked the money to publish. My Sikh sponsor, who prefers to remain nameless, is not rich, and I asked him for money only for my small team and for costs related to the book, but not for myself. What could I have taken for work that lasted months? This book as well I regard as Seva. But the positive things kept coming: As I turned for help to the Sikh Sangat, the resonance was huge and a Canadian Sikh Institute translated about 600 names and religious terms from Sikhism into Gurmukhi script, as I wanted to give all these terms correctly. This was a huge amount of work. I then prepared everything for my friend, an Indologist who is fluent in Punjabi / Gurmukhi, but cannot check her translations. I should also mention my team, among whom are another Indologist, a translator with a Ph.D. in English Literature, a linguist, a musician and some students of Indology. But let me get back to the Sikh Sangat. I found the cover picture for "Guru Granth Sahib Ji Essence and Sikh Terminology from A to Z" via a Sikh Heritage. The important thing about this picture was that it did not pander to clichés, but I left the final decision to my Sikh sponsor. The next thing I want to work on is a book on Sikh martyrs, whose structure is already clear to me. Some of the chapters from this book have appeared here on SikhNet. All this work has been done and is paid for. The only thing that is missing is the money to cover the printing costs. I am poor and live on welfare. 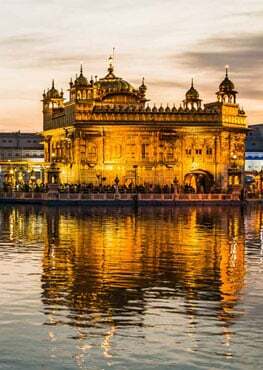 That is not pretty, but I could never have immersed myself so deeply into Sikhism, my religion, if I had spent my working life in financial accounting. I spend my time reading and writing and pass on my knowledge by occasionally giving German lessons to students from abroad and proofreading term papers, master's thesis and Ph.D. thesis. In what I have written above, many years of my life are summarised. I had to face many difficulties and received many injuries, from Germans as well as from Sikhs. But that is what usually happens when something new wants to be born and looks for a firm foundation to grow on. At the present time, I am looking forward to the future and hope that I may contribute something for my religion, Sikhism, with pen, ink and paper, in never-ending love and humility for VAHIGURU JI. I can only continue my work if generous Sikhs support me financially. Because my pockets are empty while my heart and my spirit are overflowing with words and sentences that belong, at the moment, to the Sikh Martyrs. I hope that Sikhs will come towards me on my journey, for without them the road of the rainbow cannot exist. I close my eyes and surrender. Elisabeth was born in Hamburg, Germany and now lives in Munich. She writes short stories, journalistic pieces and poetry.